Born in 1967 at Mt. Allan, Gabriella Possum Nungurrayi is the eldest daughter of renowned artist Clifford Possum Tjapaltjarri. She was taught to paint by her father at a very young age, and since her father passing away, the value of her works has increased dramatically. His influences are apparent in her work, yet she has formed a style of her own. Her paintings depict stories such as Bush Tucker (Exploding Seed and Black Seed from the Mt. Allan area), Women's Ceremonies, Serpent, Goanna and Seven Sisters Dreamings. Gabriella's work is bold and vivid in colour and composition and utilises many different techniques, the "dot" technique in particular. 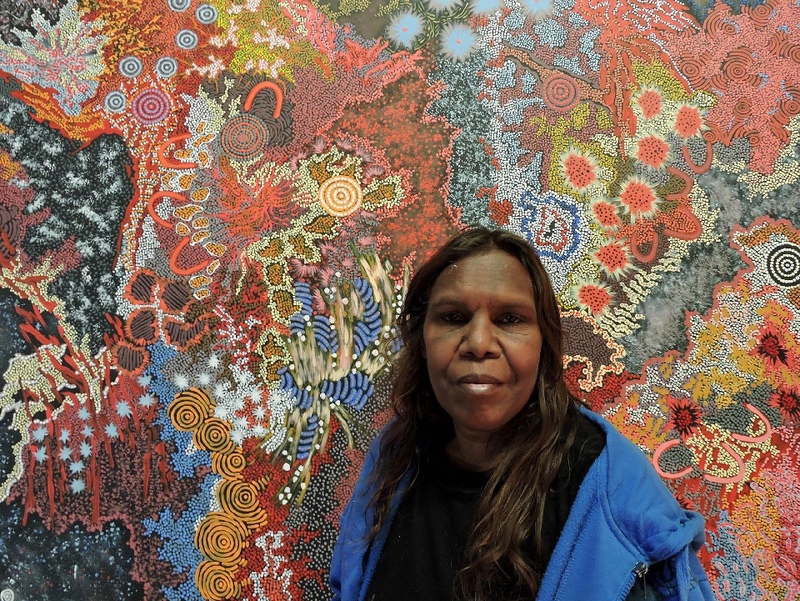 In 1985, at the tender age of 16, Gabriella won the coveted Alice Springs Art Award while still a student at Yirara Lutheran College in Alice Springs. She is recognised as a culturally significant artist and her work has been exhibited in the U.S.A and throughout Europe. Her work is in many major collections including the National Gallery of Australia. Gabriella has become known for the important commissions and installations she has done. These include being part of the Vivid Projection Programme at Sydney Opera House in 2016, her design being used on an Art Tram during the 2014 Melbourne Festival and her 2008 commission and installation depicting her custodial Grandmother's Country for the 2008 RHS Chelsea Flower Show. Gabriella now lives in Melbourne with her family.